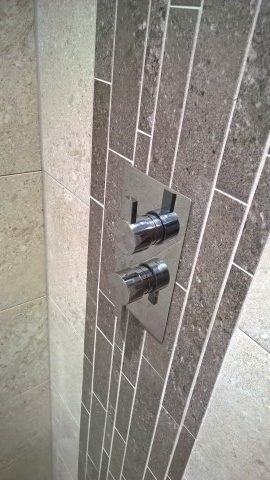 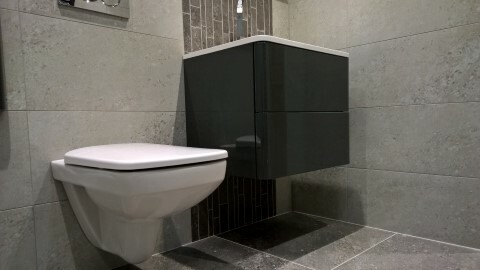 One of our recently completed bathroom design and installations in Berwick-upon-Tweed. 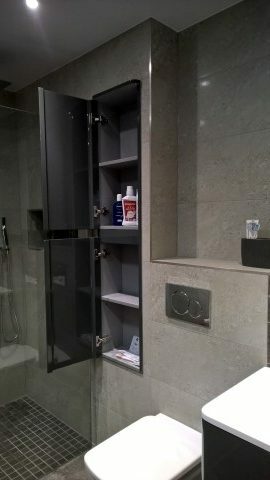 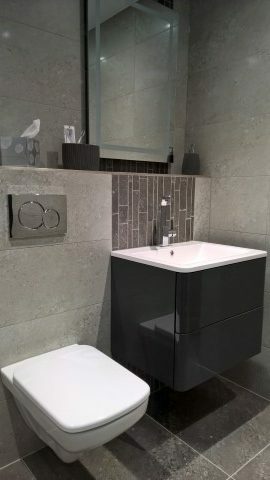 This bathroom comprises of a tiled wet-room style walk-in shower with rain shower head & diverter handset, wall-hung wc & basin unit for easy cleaning and a sleek look, integrated wall unit, and an anthracite dual fuel towel rail. 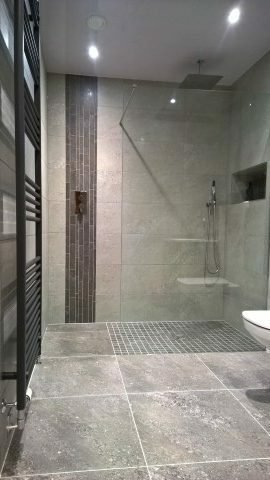 Tiling by Nigel McCann & Electrical work by Kieran Cromarty. 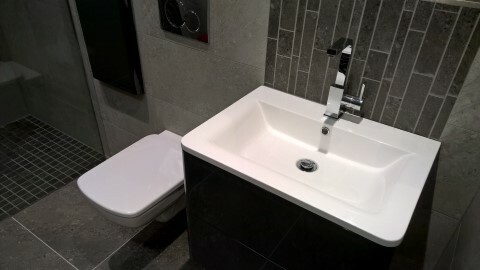 Design & all other work by Premier Plumbing & Heating.